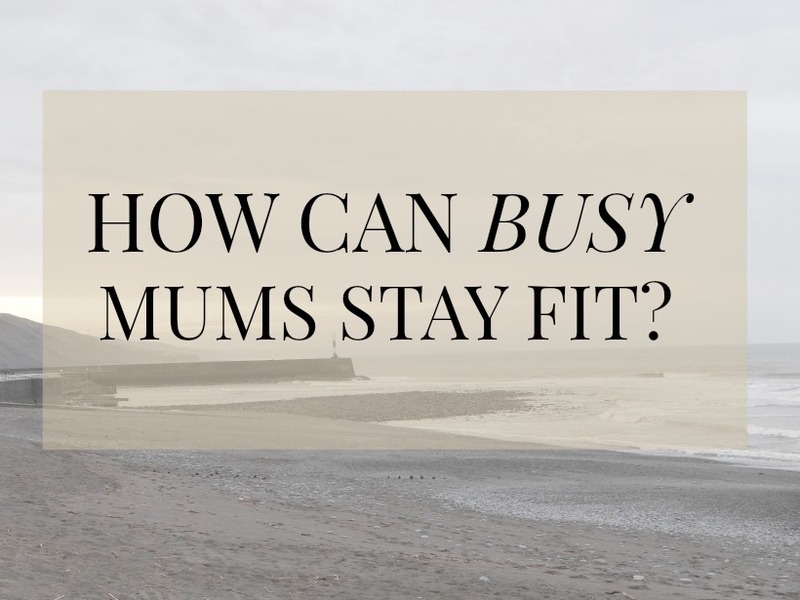 HOW CAN BUSY MUMS STAY FIT? Being a mum is a full time job. From the moment you wake up, the day is a jumble of school runs, meal preps, bathing, entertaining, feeding and squeezing in all the usual household chores. On top of caring for the kids and the household, you somehow also have to remember to look after your own wellbeing. Most of us are able to just about remember eating regularly enough but exercise is often the thing that falls way to the bottom, or sometimes completely off, the priority list. In todays blog we look at four great ways to incorporate exercise into your life as a busy mum, and why it is so important you do so! Firstly we address why you should stay fit. Staying fit will give you far higher levels of energy which help you to keep up with the demands and active nature of your children. From the moment they wake to the moment they sleep life is go, go, go and it is important that you are able to keep pace so you can enjoy the experience of being a mother more fully. We also believe that a weekly hour of exercise is much-needed me-time for mums, to find some time for themselves. It is a fantastic way to lift your mood and acts as a reliever of mild post-natal depression. Even though the idea of exercising may sound daunting, you will be hard pressed to find someone who regrets the workout once it is over! 1. Do you have a full time or part time job? If the answer is yes, then you can find a way to stay fit at work. Many corporates have wellness schemes, and if your company doesn’t currently have one, then you can be the catalyst that brings one about! Corporates often employ a personal trainer to come to the company’s premises and give a team of employees a stress busting fitness class. This can be during your lunch break, before work or after work, but most importantly, for mums it can be the ideal way to stay in shape. 2. Get a qualified mobile pre-natal or post-natal personal trainer, who can help you to stay in shape and exercise safely throughout your pregnancy. Or join a local mums fitness group, with a qualified instructor. This is the best way to ensure you are looking after your own health and, if you are pregnant, your baby’s health also. 3. Exercise at home. As a busy mum, there are plenty of exercises you can perform using just your furniture, when you have five minutes spare. Use your wall to perform a one-minute ski-sit, lay out a mat on the floor to try out a 30 second plank, or use a chair for ten tricep dips. The possibilities are endless and once you have a fitness routine in mind, you just need the willpower to execute this regularly. 4. Re-assess your current lifestyle and make a conscious effort to avoid the shortcuts. Is school within walking distance? Then try to walk, instead of driving. Your kids will enjoy the fresh air and extra exercise also. Do you always take the escalator? Keep an eye out for the stairs instead. It is often quicker, and it burns seven times more calories than taking the lift!